No matter what care you require, our professional healthcare assistants are able to provide the support you need. We make sure that all our nurses have the proper documentation and are trained to high standards. When you're looking for highly trained and qualified healthcare assistants then look no further than our social care agency. From nurses and support workers, we're able to provide patients with a diverse range of carers. 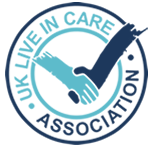 Visit our established social care agency that provides professional healthcare assistants. At Vine Social Care Agency in Farnborough , Hampshire, we specialise in offering an extensive range of health and social care services to a number of diverse patients. Backed by more than 15 years of experience, we provide nurses and support workers that are highly trained, experienced, and are experts within the industry. Vine Social Care Agency are proud members of the Investors In People. During the fifteen years of experience we realised that local authorities were seeking partnerships with outside agencies to provide quality tailored care for older people in their own homes. We understand the challenges faced by the Health and Social care industry hence our decision making in business are tailor made in line with clients' identified needs. At Vine, we believe in excellent care for each individual everyday everywhere. Contact our healthcare nurses to find out more about social care services in Farnborough, Hampshire. for more information on healthcare assistants, nurses, and support workers. Farnborough and surrounding areas including Surrey and Borders, Hampshire and Berkshire.